There is a very important role for 1260 Squadron in taking part in key local events including the Remembrance Sunday and Battle of Britain parades. Throughout the year we will also take part in local events including Newark Carnival. These high profile events provide a great opportunity to show the community that 1260 Squadron is a very active local organisation committed to playing our part in the life of the area. Organised by the Royal British Legion, the Annual Remembrance Day Service & Parade commences with a parade from London Road car park then a wreath laying ceremony at the War Memorial commencing at 10.55am. The parade will include members of the Newark Branch of the Royal British Legion and representatives from the ex-Service Associations, Sea, Army and Air Cadets. Following the Church Service there will be a march past in the Market Place when the salute will be taken. Organised by the Royal Air Force Association (RAFA), this event usually takes place on the Sunday prior to the national event. On Sunday, 15 September 1940, the Luftwaffe launched its largest and most concentrated attack against London in the hope of drawing out the RAF into a battle of annihilation. Around 1,500 aircraft took part in the air battles which lasted until dusk. The action was the climax of the Battle of Britain and this event commemorates this historic event. There is a parade from London Road car park then a wreath laying ceremony at the War Memorial commencing at 10.55am. If possible a Spitfire flypast will have been arranged. This service remembers the 250 airmen who lost their lives during the Air Bridge operations, which helped the Warsaw uprising in 1944. People from all over the country and Poland attend, and wreaths are laid. This is an event held at Newark Cemetery – at a special memorial near to the Polish War Graves – usually around the third Sunday of September. Each year, on the last Sunday in October, Polish Airmen who gave their lives in the 2nd World War are remembered at the All Souls ceremony in Newark. The service of remembrance is organised by the Polish Air Force Association. It takes place in the Commonwealth War Graves Section of Newark Cemetery. It normally begins at 3pm when wreaths are laid, and tea lights are lit on each of the graves. This is attended by Polish people from all over the country. A Halifax bomber, flight MZ519, returning from a mission to bomb a V1 rocket launch site in France was returning to base in Yorkshire on 6 July 1944. Having sustained heavy damage during the mission, the aircraft crashed near to Farnsfield resulting in the tragic loss of the entire 7-man crew. A memorial stands in a dedicated garden at the site of the crash and each year a Memorial Service is conducted at the site at noon on the nearest Sunday to the date of the tragedy. Newark & District Air Cadets have attended these memorial services. Newark Carnival has, since 2007, grown in to one of the Town’s largest community events. Many community and voluntary organisations as well as schools and businesses take part in a procession from the Market Place to the Riverside Park. 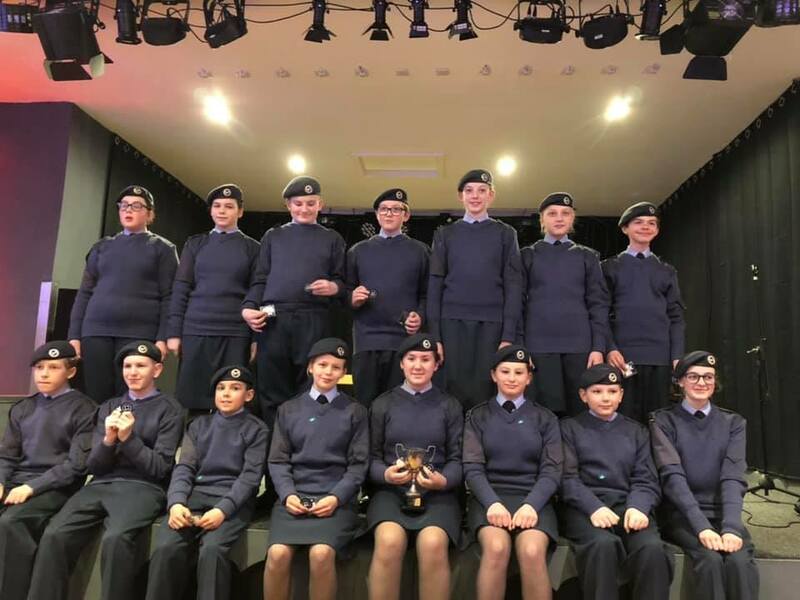 Newark & District Air Cadets take part in the Carnival, it provides a great show case for our group as well an opportunity for Cadets to engage with the people of Newark. Organised by Twister Air Displays this annual show that is held at Averham, near Newark provides a really fantastic flying display with more also going on. Newark & District Air Cadets have been delighted to attend, to assist on the day and to meet a wide range of people who, like us, have an interest in flying.